In honor of Sarah Dessen’s visit to Eight Cousins today, we asked customers to tell us why they love Sarah Dessen. The winners (we ended up with 4) will be the first in line at the signing and will have a photo shoot with Sarah before the event. We were overwhelmed by the responses to this contest as well as how much Sarah and her books have touched the lives of so many people. Following is a selection of the responses. Hope to see everyone at the event today and that you take the chance to tell Sarah Dessen, in person, what you told us! I love Sarah because of the way she writes. Her writing transports me into another world. She writes in a way that makes you relate to the characters. At least one character has a bit of everyone in them. From her blog and twitter posts you can tell she’s down to earth. She obviously has another life other than writing but still finds a way to involve her fans in it. She does #penguinchats and every time she answers a question I ask, I dance around the house as if its Christmas morning. She isn’t just a writer but a role model in a way. She inspires many writers to keep trying. She shows us that even successful writers have writers block. She teaches us to keep trying and through her writing teaches girls how to deal with the hardships of life and that no one has a problem-free life. Meeting Sarah is something I’ve always wanted to do. This would mean a lot to me. She has been my role model since the start of sixth grade. Her books have gotten me through hard days as I’ve dealt trough middle school and now high school. As I express my appreciation for Sarah I realize how she’s just another person. She shows others, specially young girls becoming adults that we can also inspire others. She has taught me to keep going. Sarah is truly a role model for many girls. I love Sarah Dessen because even though I am no longer the same age as her characters I still relate to the characters and feel like I’m still a teenager. And being a teenager is AWESOME! The first time I read one of her books was while I was on a day long beach trip in Cape Cod in 2007. It was This Lullaby and I did not put it down the whole day. I now associate Sarah Dessen books with the Summer, which is awesome because a bunch of them are based in the Summer. Every time I pick up a new book by her I cant help but geek out a little bit because I know characters and places from past books are going to pop up randomly and No other author does that like she does. It’s not just her books that are awesome. Sarah Dessen is a super awesome person! She bonds with her fans. She writes a blog to keep us updated about what shes up to personally and professionally and that’s awesome! Shes not fake or snobby because of her success shes just real. I feel like even though I have never met her I still know her.Kinda. I would totally want to be friends with her in real life. She lets her fans in and that’s important (especially when you’re dealing with geeks like myself). And she’s a super cool mom! Her books never get old I’ve read them all more than once and I’m sure when I’m 50 I’ll pick up one of her books and still love it just as much as the first time I read it. She is super talented and I’m sure she has a super long career ahead of her with fans that will stick by her forever! She’s an amazing author. She caught my eye on the first page of Someone Like You. Ever since then I’ve been completely hooked. Her books have just drawn me in, I can’t even put them down! Every book I read of hers I feel like I need to keep going and never stop until I finish. She’s just amazing in general. I love Sarah Dessen because her books captivate me and always leave me wanting more. I first got into Sarah Dessen because of my aunt. The day before she died she gave me the book, The Truth About Forever and said it was the best book she has ever read and that I would love it. After she passed I pushed myself to read the book to see what she saw no matter how sad I was. After I read the book it was a happy memory of my aunt and every time I see it or read it I think of her and can hear her telling me how awesome it is. I love Sarah Dessen so much because her books ,ake me feel something so strong that if she wrote a book that nobody like I would still love it. Every time I see her name I get excited about her books and the memories they bring. Sarah Dessen is an extraordinary author! All of her books include enjoyable characters, picturesque settings, and exciting plots. Her plots and characters can be relatable to many teens, which is one of the reasons I love her books. I’ve always loved to read and I have many books, but I seem to always go back to Sarah Dessen’s books when I need an amazing book to read. When I read her books, I feel as if I am part of the story, going through the book alongside the characters. Another reason I love Sarah Dessen is because of the way she intertwines the characters and settings in her books. All of her books include Colby, the small town in North Carolina, and a lot of her books include another character or place that was a big part of another book. For instance, in The Moon and More, Emaline’s best friend, Daisy, works at Clementine’s, where Auden works. Auden and Clementine’s were both big parts in Along for the Ride. The way Sarah Dessen writes her books, I can clearly envision the settings, from the Last Chance Café to the beaches of Colby, while I’m reading, I feel as if I’m there inside of the book. From incredible characters to easy to imagine settings, to great plots, her books are wonderful! There are many books and authors in the world, but out of all of them, Sarah Dessen and her books are by far my favorite! Why do I love Sarah Dessen? I love Sarah Dessen because her writing stands out from all of the other authors that I’ve ever read (and trust me there have been a lot of other authors). I know how cliché that must sound because you hear it all the time, but it’s so true. Your writing is so down to Earth and realistic that sometimes I think that those same situations that you create in What Happened To Goodbye and Along for the Ride and The Truth About Forever actually happen to people in real life. That it’s a story that’s featured in a magazine or a newspaper. Crazy, huh? And to be completely, totally, and wholeheartedly honest with you, your books are the only pieces of writing that I’ve ever thought about that way. Your books take me to another world. A place where there is always a happy ending and I don’t mean when the prince falls for the servant girl. I mean when the main character makes a choice, a choice that changes their life in the best way possible. Thank you for writing and being you! I am thrilled and so excited! This event is the perfect blend of my two favorite people and places…Sarah Dessen and Cape Cod! As a school librarian working in a high school in New York I am always striving to make sure I have the most fantastic, fun and intriguing books for my students to read. Sarah Dessen books are always a hit and my students keep coming back for more. To have a picture with the lovely Sarah to share with my students would be the best thing to bring back to school and get students excited about another year of reading! Oh and did I mention the one thing I love more than Sarah Dessen and her books? That would be The Cape! As a native New Yorker I discovered Cape Cod about 6 years ago when my then boyfriend (now husband) took me up to Dennis to meet his parents. My new family lives on The Cape year round and I love it in every season. One these “wash-a-shores” hope to join them in “Paradise,” but until then we will settle for savoring every moment of our family trips and doing the special things, like attending fun events at fabulous bookstores. “Seriously? Oh my God, I love her books too!” or “You haven’t read Sarah Dessen yet? You are going to LOVE her!” Both statements (or versions thereof) I have stated countless times in my job as a Young Adult Librarian. I have read and loved all of Sarah’s books, and thankfully, they are a constant I can rely on when recommending books to students. So, I have a lot of love and gratitude for Sarah and her amazing books! I love Sarah Dessen because she makes good out of the bad. Her books are relate-able and witty and the boys she thinks up – yum with a side of chocolate pudding pie. She lets me know that even if things are bad, they always get better. With Sarah Dessen’s books, you can get lost in summer and forget about your troubles and responsibilities. It would be the most amazing experience to meet Sarah Dessen, because she is a role model, who’s writing voice is raw and very hard to come by. I read “The Friday Five” every Friday, and she makes it absolutely clear that all she does is for her fans. I’ve read so many of her books over the last four years since I’ve discovered her. It’s hard to choose just one good Sarah Dessen book, because so many of them hold something special in my heart. She writes about so many ranges of problems adolescents deal with, and I always find myself choked up about how amazingly she’s able to understand us and where we stand in the limbo of not-quite-grown-up and too-old-to-be-a-kid, and all the problems in between. She is our voice, and she speaks the truth. We, as her loyal readers, entrust her to be able to remind the world just how hard it is to grow up and how much pressure is there during this time in our lives. We can’t tell the people around us just how much pressure we’re under, because there usually aren’t any words to sum up the long list of problems we face. The novels we read – they’re great but they don’t get us. There’s always a detachment between the teens in the regular YA novels and the real people we are. In Sarah Dessen’s world, though, it’s exactly what we are. We aren’t perfect. We have bumps and weird hair and problems with family and friends and life and school and so much more. Our thoughts race and there are so many decisions to be made, right seems to become wrong and we try our best to fix it but sometimes it becomes even more wrong. And it doesn’t always work out, but we keep moving forward. Sarah Dessen is a special author with a very unique ability to remind the world that we’re striving for perfection and trying to color outside the lines at the same time – which is impossible, of course, which is exactly the point. She gets us, and we know she’s dealt with what we are dealing with and kept that kid deep in her heart instead of setting it aside like most. And that is why I love Sarah Dessen. It’s because she remembers and reminds. Someone Like You was the first Sarah Dessen book I ever read. It was given to me to read by my then best friend. We became best friends in middle school, a painful time for most kids. She was a shy, sweet blonde and I was a boisterous, bold brunette. Opposites but both outsiders, not unlike Scarlett and Hale. My friend and I were both writers and that summer we decided to create a novel together (though we never finished it). Mostly we stayed up into the wee hours of the morning, baking, swimming and generally causing trouble, it was by far one of my favorite summers, and I still reflect fondly on it to this day. I can still picture the bright kitchen of my friend’s house, her 3 large Labradors always underfoot, the two of us huddled around the kitchen table scribbling notes and exchanging ideas. Summers in Arizona are stifling and we almost always ditched our work around midday to cannonball into the pool. We were obviously not the most dedicated writers but we were the most passionate, still yacking away about our characters and our plots as we tread water and swam laps. We loved Someone Like You, and were both huge Sarah Dessen fans, devouring all of her other novels. Envisioning ourselves as the heroines tackling life and having adventures with boys (something we rarely did in reality). It was the main reference for our novel, and it’s a story that I still treasure and read once a year. It is my link to that wonderful time in my life when I thought image was everything, I was convinced that the world revolved around my problems, and I truly was blessed with the greatest gift in the world: my best friend. I am sorry to say that unlike Sarah’s two heroines, this friendship did not endure. We stayed close through the first two years of high school, but were seriously drifting apart by senior year. We went off to college together and ended up rooming together (big mistake)! I was engrossed by the whole party scene while my friend became extremely involved in her church and her controlling boyfriend. We ended up going our own ways: she got a degree in music, was engaged, suffered a dramatic break up, left her church and moved back to Phoenix. I studied abroad, joined a sorority, and got a degree in modern languages (a little later than originally planned). It makes me sad to this day when I think on all of the great experiences we missed out on as we moved apart. I regret my inaction towards repairing our friendship and I regret her inaction as well. But, it brings me such joy to know that I will always have my memories, Someone Like You, and, of course, that one unforgettable summer. Not only do I adore Sarah Dessen’s novels, I am an adamant fan of her blog. It is so nice to know that the people I look up to have a realistic side, through her writing I relate to Sarah like I would a friend or neighbor. She sounds like a very humble and down to earth person; I look to her in the times that I feel overwhelmed with the petty things that I deal with on a daily basis. She always manages to cheer me up and help me to realize that life is not about sweating the small stuff but enjoying it: little joys like TV shows you’re obsessed with, books that you love and food that is to die for, is what makes life totally worth everything else. Oh, and family too! I have to admit, I poured over her old blog entries that she did when she was pregnant with Sasha, while I was pregnant with my own son. It helped to know that my favorite author struggled with some of the same things I did (sorry Sarah!). I love Sarah Dessen because she is the Queen of YA Contemporary! When I first read, Dreamland, I was enthralled from beginning to end. Her writing transported me into the lives of these characters. I wanted to help them, root for them, see them get everything their hearts desired. When I’m done reading Sarah’s books I get a book hangover. The character’s and their stories stick with me for days. I find myself thinking about them, replaying scenes over and over again in my head. The magic of her words sticking to me like fairy dust. I want to thank Sarah personally for her books. She writes with an honesty and integrity that can not be faked. She inspires me everyday to write and read. I buy her books in physical form, and in e-format, and in audio-format and as I read them I switch between all three mediums. In each I find myself highlighting phrases or paragraphs because the sentiment is so concrete or so simplistic in its nature that I have to remember it so I can reference it again later. I love Sarah Dessen because I started reading her books when I was a teenager, and they were a touchstone for my own desire to write. Now, as an adult, I still read Sarah’s books and thanks to technology, can follow her on Twitter and Facebook and her blog. It gives me so much drive with my own writing — to the point that I got my MFA in Fiction from Lesley University in Cambridge and hope to one day be a published writer. It would be a dream come true to meet Sarah in person!! Sarah Dessen’s books always give me a break from reality, right when I need it. While reading her novels, I feel as if I am one of the charectars, not just a reader and that is why I love her. Sarah Dessen got me through a lot of my teen years. Her writing would have me dreaming of so many possibilities of people who I aspired to be like and the kinds of boys I would hope to fall in love with. She is very dedicated to her craft and her love for her job is noticeable. I would write short stories in high school but never thought I would go anywhere with it. Now that I’m in college, and following her and other authors on Twitter, it gives me hope that I could start writing for fun again. I can see that they struggle with their writing but are always giving to give encouraging advice. She has also made me over come my teenage notion that young adult novels are just for teenagers. There is no age limit for books and there was a time that I needed to remember that. But don’t worry, I have since long overcome that notion and have a good balance of genres. I started reading Sarah Dessen’s novels when I was 17 years old, as an attempt to fill all my boring time in my high school study hall period. At 22, I have since read almost all of Sarah Dessen’s books and I cannot wait to begin on The Moon and More. My first, and longtime favorite, of her novels, The Truth About Forever, is a story that captivated me at 17 and continues to captivate me with every fresh reading. I struggled throughout both high school and college with perfectionism and felt like Macy’s transformation in the novel helped me with my own. I’ve realized that, in many areas of life, being perfect–whether that be the prettiest, the skinniest, the smarter, etc.–isn’t all it’s cracked up to be and the only people in life worth keeping are the ones that accept you for every one of your imperfections. They define you; they shape who you are. I’m happy I picked up a copy of The Truth About Forever in my high school’s library five years ago. Thank you, Sarah, for bringing a prevalent issue in many young adults’ lives to light in such a well-written, caring, and relatable way. It is finally time for Little Hawk to go into the woods alone with only a metal knife, a bow and arrows, and the tomahawk his father made for him. He must survive three moons in the wild, and then return to his village a man. He returns to a village ravaged by disease, however, and he is forced to interact with the new settlers and his own people in a way he has never experienced. After Little Hawk dies at the hands of a settler, a young man named John Wakely realizes how prejudiced the colonies are against the native tribes. He creates a friendship with Little Hawk’s spirit, but finds out that very few of his fellow countrymen share his ideas. What happens to John and Little Hawk? 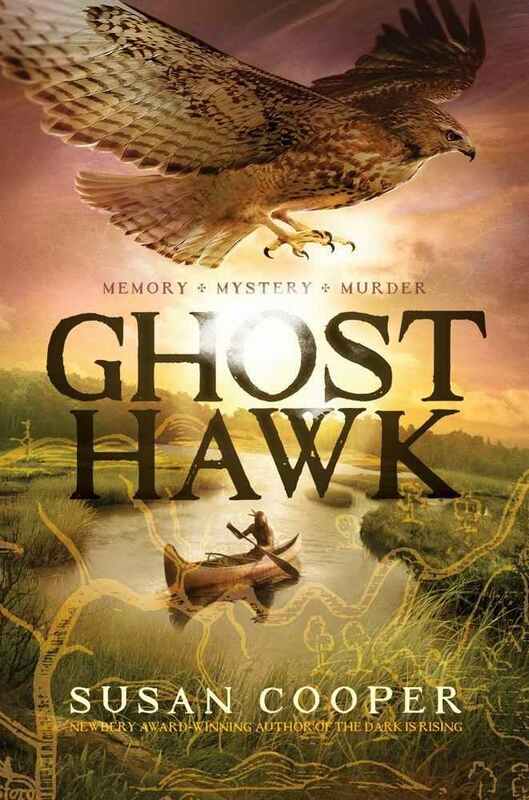 Find out in August when Ghost Hawk comes out. Personally I didn’t enjoy this book as much, but that’s because I typically don’t read historical fiction. If you liked Crispin: The Cross of Lead, however, you’ll like this book. On the morning of her first birthday, a baby girl was found in a cello case floating in the middle of the English Channel among the remains of a ship. An eccentric scholar, Charles, who survived the wreck finds her and takes her in. He raises Sophie, the baby girl, to the best of his ability, but when child services threaten to take Sophie to an orphanage, the pair flee to France to try and find Sophie’s mother. In Paris, she meets a boy named Matteo and his rooftopper friends, all children who live on top of the roofs of the city. Together, they search Paris for Sophie’s mother, but does her mother even exist? And if so, where can they find her? I quite enjoyed this book, and highly recommend it when it comes out in September. If you like popular realistic fiction, you’ll like Rooftoppers as well. This book was really interesting. Howard Mergler, the student council president, is actually a bug monster that is summoning wasps, flies, lice and other bugs into Lovecraft School. The only people in the school that know about this are Robert Arthur, two of his friends (Glenn and Karina) and a two headed rat. 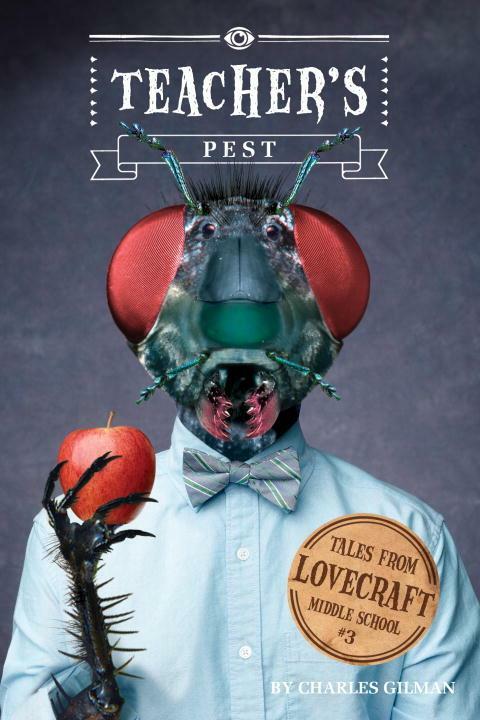 It is all up to them to save Lovecraft School and defeat Howard Mergler and his bug army! If you are into sort of gross books and books that keep you hanging then you will like this book. Change is something almost everyone fears. The important thing to know is that change will happen and sooner than you think. In Wild Born, Conor, Abeke, Meilen, and Rollen went through a change that changed their lives. Each of them was chosen by the most important spirit animals in all of Erdas, where they live — Wolf, Leopard, Panda, and Falcon. Now the new heroes are thrust into a new world they never thought to be a part of. Even though they are different as can be, they have the same fate: to defeat all evil lurking in Erdas. 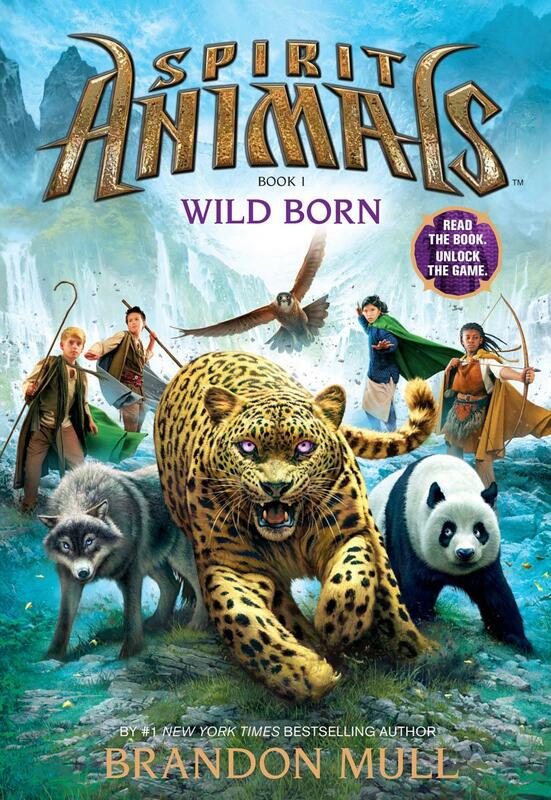 To learn more read Wild Born, coming out September 2013. I highly recommend it.